Red Velvet Beet Brownies | I Wanna Bake! I bake interesting and delicious things all the time (if I do say so myself), but sometimes I just want some brownies. I like them dense and fudgy with more chocolate chips inside than a brownie has any right to contain. Boxed brownies with a mess of broken candy (known fondly around my home as “garbage brownies”) are a treat I rarely allow myself to indulge in these days. However, garbage brownies wouldn’t make for a particularly interesting post, now would they? That’s where red velvet and beets decided to barge into the picture. I will admit that I’m not really into the red velvet craze in general. It’s usually just chocolate cake dyed red. However, as you saw with my vegan cake, when I decide to invent something, I go all out. I started with the recipe I used for triple chocolate potato brownies as the base and tinkered with it until my vision was realized. Anyone who’s ever eaten or cooked beets knows that they do a bang up job of turning everything they touch bright pink, so it seemed only natural to replace the potatoes with beets. Unfortunately, while these brownies were decently velvety, they didn’t turn out to be particularly red once baked. 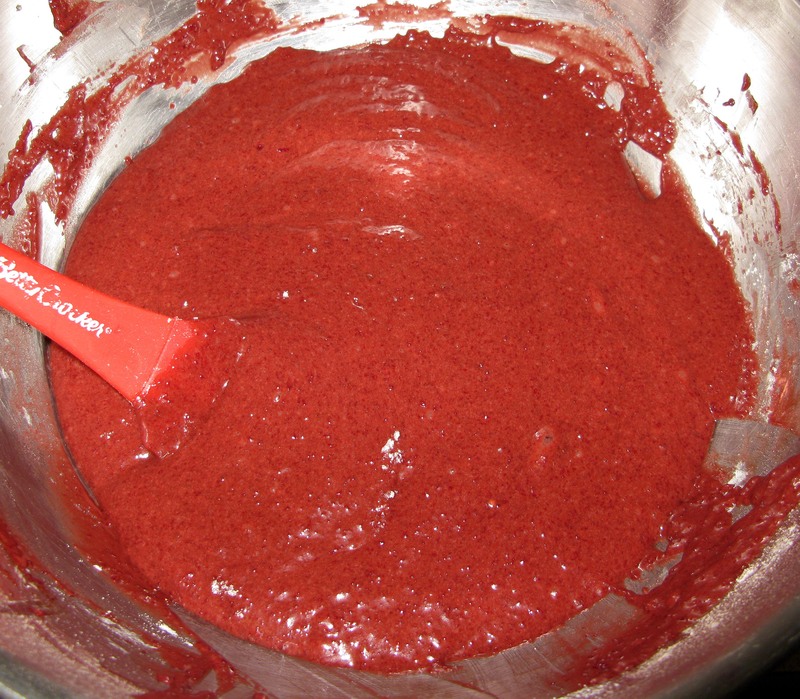 If a bright red color is what you’re really after, you can try adding some red food coloring to brighten them up a bit. You can also swap out the white chocolate chips for semi-sweet or dark chocolate chips, chopped nuts of your choice, or a mixture. I found that that white chocolate chips melted a bit, leaving holes and streams of melted chocolate around the edges. It still tasted good, but looked a bit messy. Surprisingly, these brownies actually taste better cold than hot out of the oven. This runs counter to all of my experience with brownies thus far, but sometimes you just have to try something different to get unexpectedly pleasant results. Perhaps I’ll take it one step further and freeze them next time. The radio keeps coming back to Heart these days, so I decided to take that as a sign and use their music to fuel this bakeventure. Let the Wilson sisters’ music rock out while you whip up some shockingly magenta brownie batter. Preheat your oven to 350°F. Grease a 9″ square baking pan or line the bottom with parchment paper (this is my preferred method). 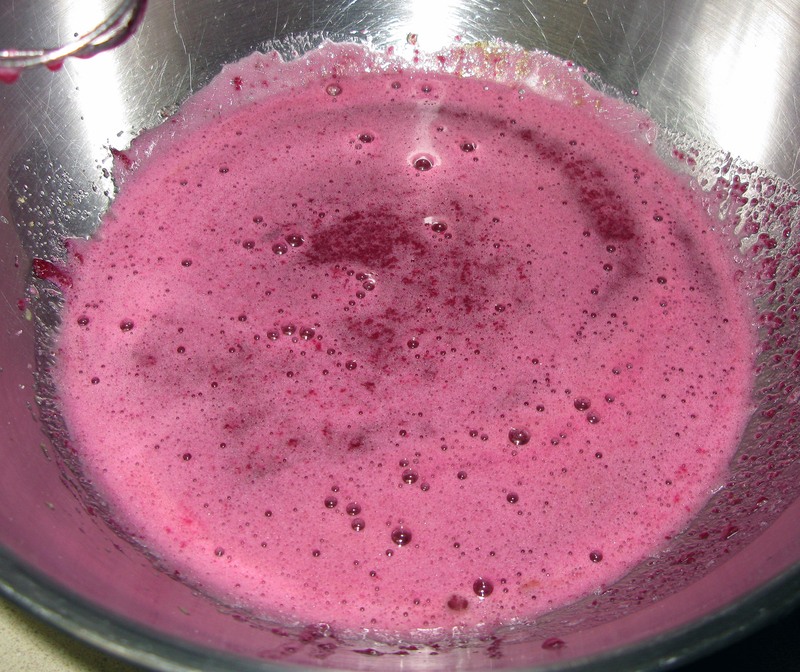 Drain and reserve the liquid from one can of sliced or whole beets. 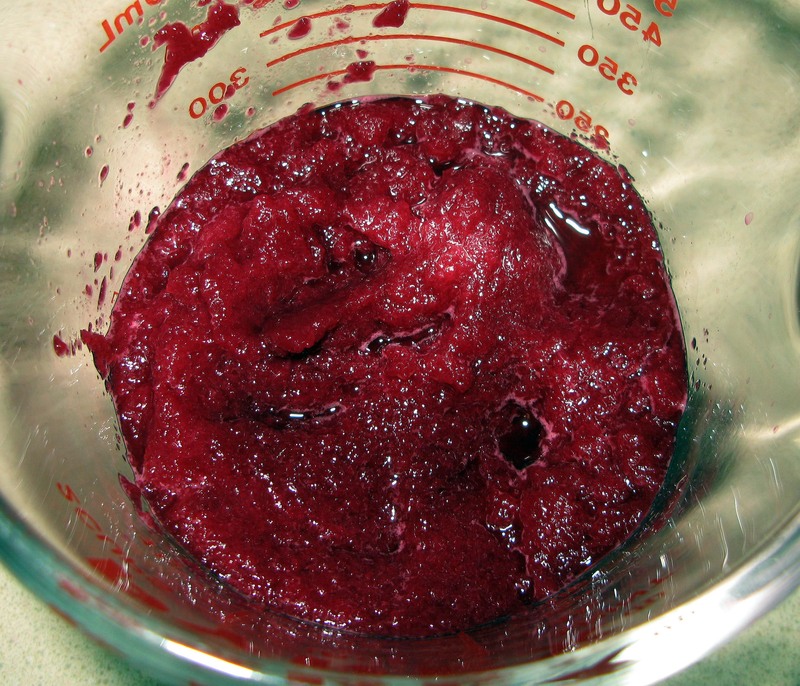 Put the beets in a food processor and add about ¼ cup of the beet juice back in (this helps with the pureeing process). Process the beets on high until smooth, stopping to scrape the sides of the bowl as needed. 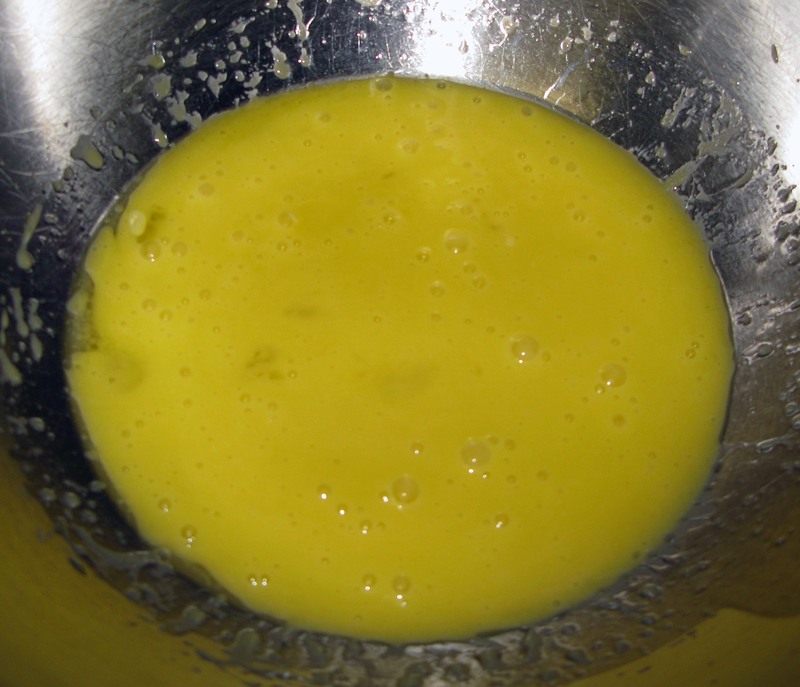 In a large bowl, beat together the eggs, egg yolk, and canola oil until smooth. Add in the beet puree, beet juice, white and brown sugar, and vanilla extract. 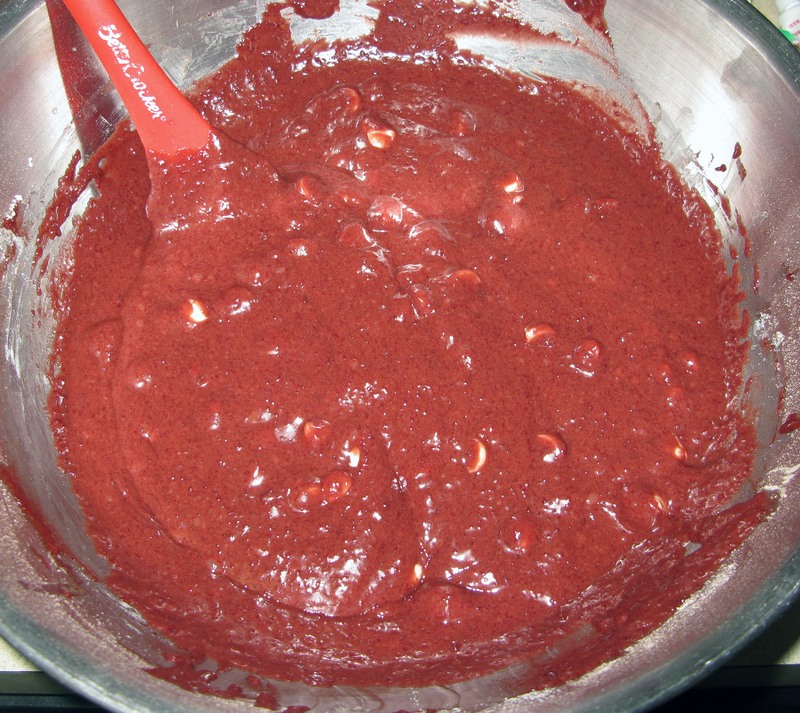 [If you’d like redder brownies than mine turned out, this is when you should add your red food coloring.] Beat until just combined. 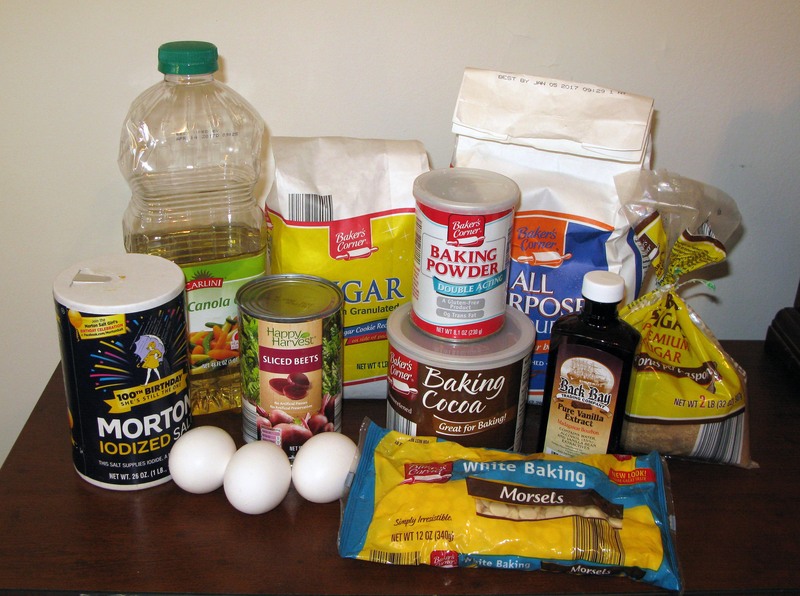 In a medium bowl, stir together the flour, cocoa powder, baking powder, and salt. 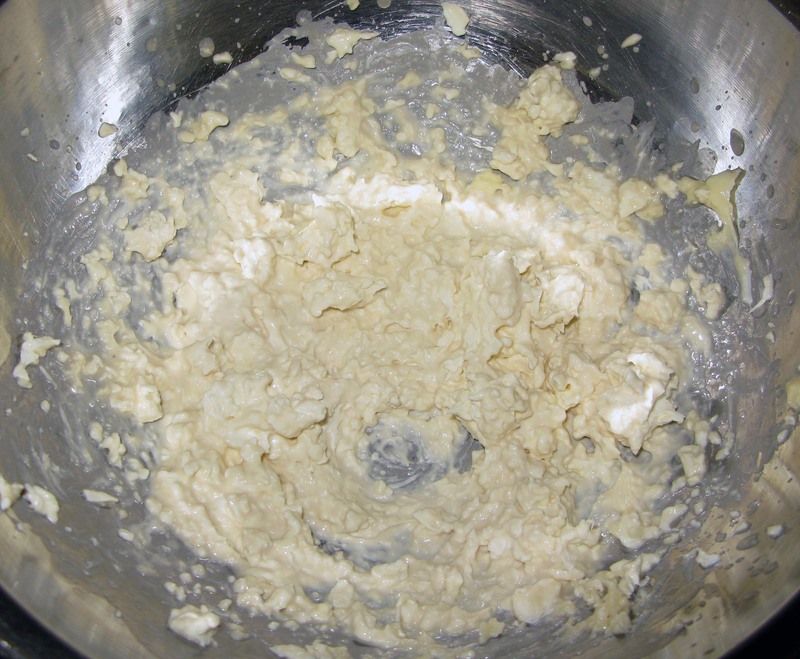 Add the dry ingredients to the wet ingredients, and beat until just incorporated (the batter should still have some lumps). 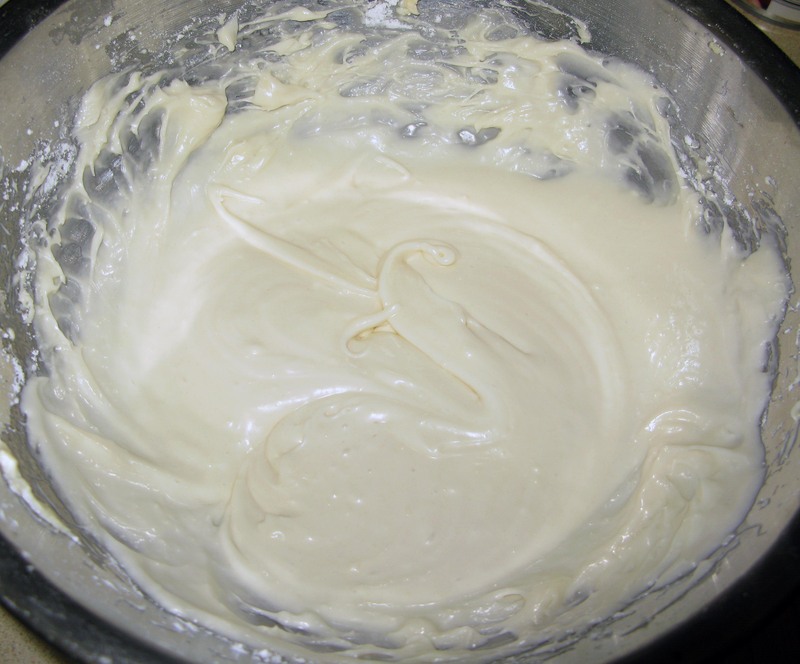 Scrape the batter into the prepared baking dish and bake for 20-25 minutes, or until a toothpick inserted into the center of the brownies comes out clean. As you can see, my white chocolate chips melted a bit, leaking out around the edges and leaving some holes in the top. If this is going to bug you, you can swap in chopped nuts or plain chocolate chips, or just leave them out entirely. Leave the brownie to cool for about 15 minutes, then run a sharp knife all the way around the edge to release it. Place a cutting board or other stiff, flat surface on top of the pan and quickly flip it over. 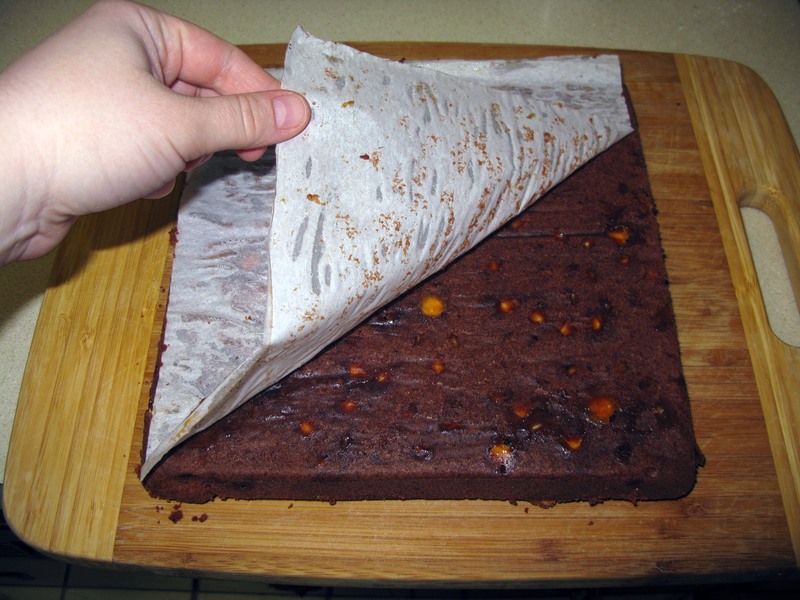 Peel off the parchment paper on the bottom of the brownie. Hopefully, you have another cutting board or other large, flat thing to flip the brownie again. 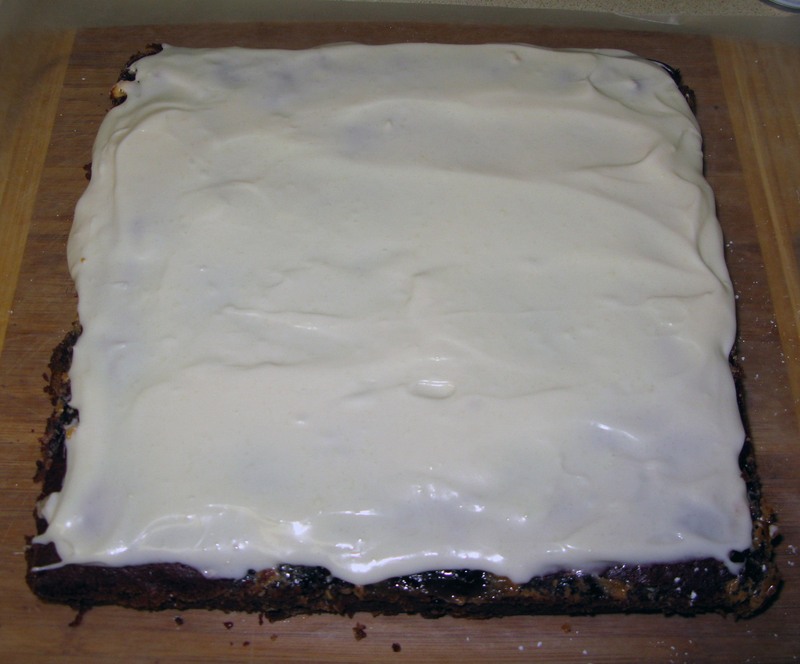 If not, you can put a piece of waxed paper on top, then put a cooling rack on top of that to invert the brownie. Leave it to cool completely. Meanwhile, it’s time to prepare the frosting. 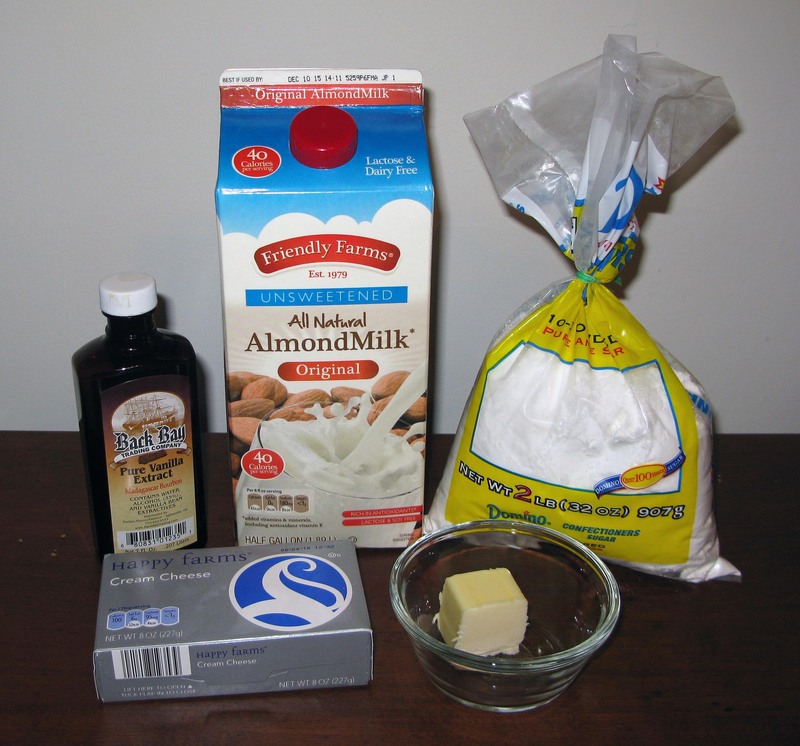 In a medium bowl, beat the cream cheese, butter, vanilla, and 1 tablespoon of milk until just combined. Beat in the powdered sugar, ¼ cup at a time, until smooth. 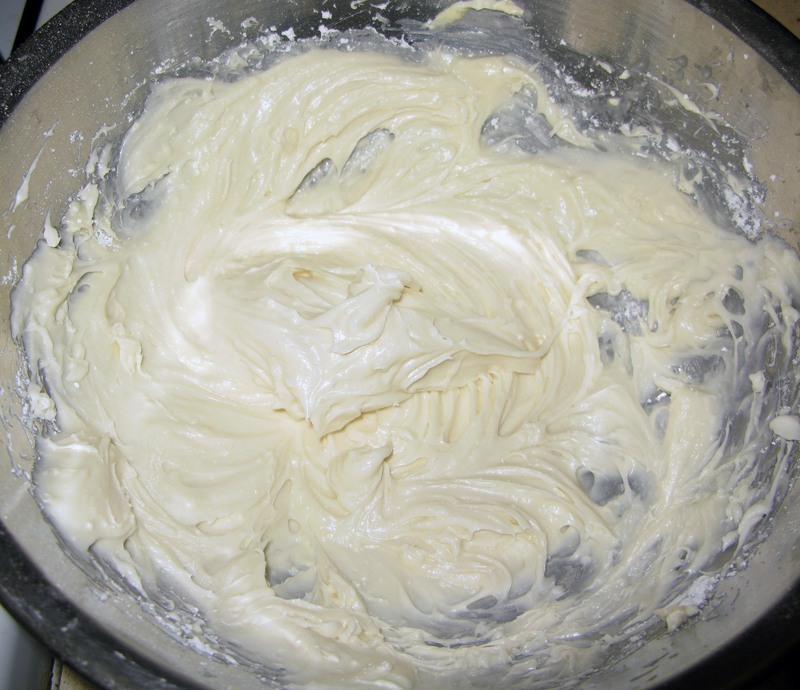 At this point, you can use the frosting as-is or thin it out with an additional tablespoon of milk (this is what I did). 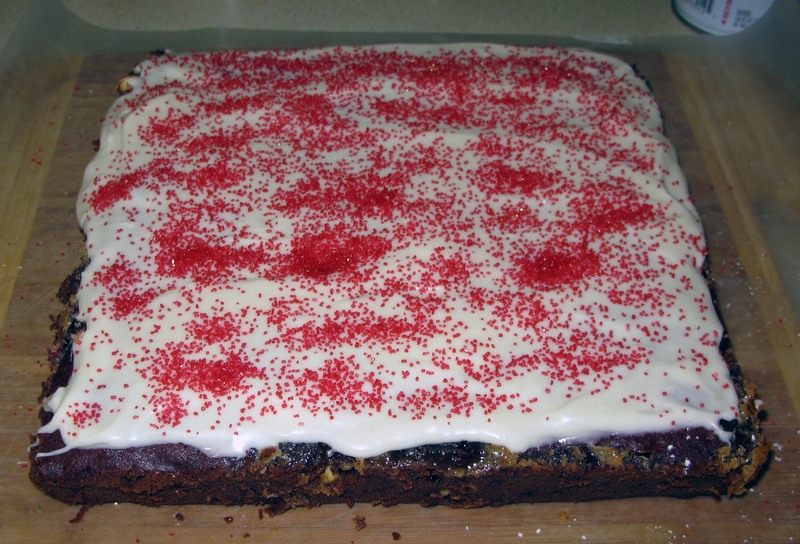 When the brownie is cool, spread the frosting evenly across the top. Sprinkle with decorating sugar or sprinkles if desired. Cut the brownie into pieces using a sharp knife or pizza cutter (I decided to cut it into 20 pieces), serve, and enjoy!